Going into a stranger’s home is not necessarily an experience most students anticipate being part of their master’s degree. But for public health students who take part in field research, that is a vital component of their education. 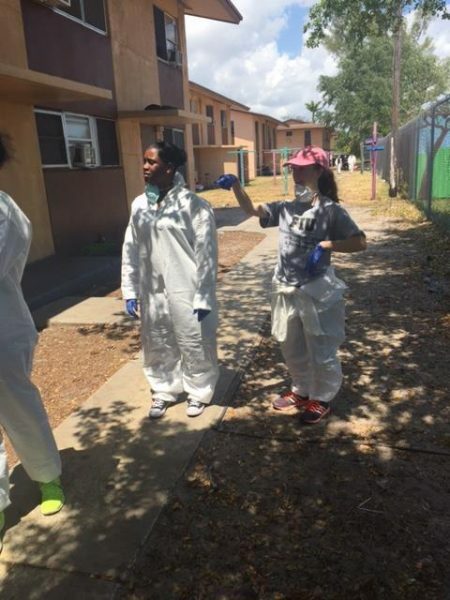 Currently, Pinzon is leading three master’s students in a study about pest control in Miami’s Liberty City. Called The Great Indoors, the research looks to alleviate health issues such as asthma in children living under conditions that include cockroach infestations in their homes and rats in the building. One of the students is Melissa Antoine, a graduate student in the Health Promotion and Disease Prevention Department who is in the master of public health program with a concentration in maternal and child health program. 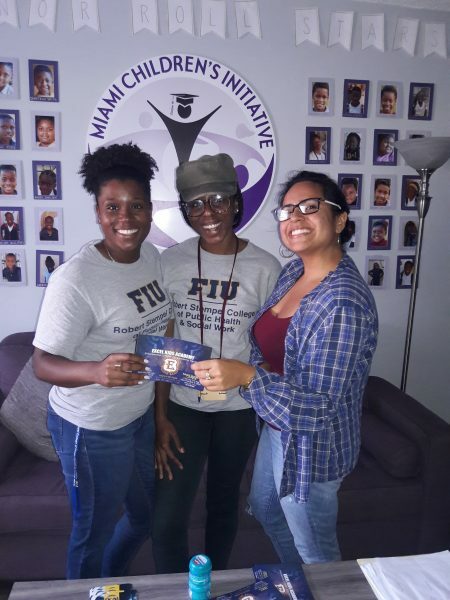 The opportunity to engage in field research is giving her the opportunity to better understand the community she wants to help as she considers continuing her education by going to medical school. The students are also gaining knowledge that could not be learned in a classroom setting. Working in health promotion and disease prevention, and particularly in maternal and child health, means working closely with struggling communities and facing health disparities that many turn a blind eye to. While doing field research, students learn how to speak to participants and gain trust. They gain firsthand experience in collecting data and to differentiate what is important to the study and what needs to be analyzed. Field research and community-based research moves the science forward – giving participants and communities opportunities to live better, healthier lives.